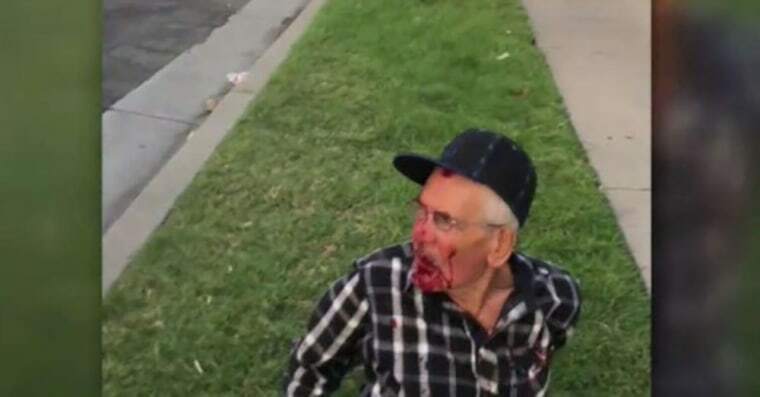 LOS ANGELES — A woman who allegedly beat a 92-year-old man with a brick on the Fourth of July was charged on Thursday with attempted murder, Los Angeles prosecutors said. Laquisha Jones, 30, was scheduled to be arraigned later Thursday afternoon. Prosecutors are asking that her bail be set at $1.125 million. The elderly man, Rodolfo Rodriguez, was recovering in his Los Angeles-area home this week after the attack in the community of Willowbrook. Rodriguez, a native of Mexico but a legal U.S. resident, had gone out alone for his daily walk, according to his grandson Erik Mendozza, about an hour and a half before he was going to watch fireworks with his family. He may have bumped into a small girl while walking, witness Misbel Borjas told NBC Los Angeles. She said she saw a woman with the girl push Rodriguez and hit him with a brick. The woman also told Rodriguez to "go back to your country," Borjas, told the station. The woman later told NBC News that she heard the attacker say, "Go back, go back." The Los Angeles County Sheriff’s Office told NBC News on Wednesday that the incident did not involve a hate crime. Borjas had been driving by and wanted to stop and help, she said, but the woman allegedly threatened to hit her car with the brick. She instead called 911 and took a photo of the assailant. Borjas said a group of men then came down the street, and the woman accused Rodriguez of trying to take his child. Then about three of them also started beating the older man, she said. Jones, who was arrested on Tuesday, also faces an elder abuse charge and special allegations that she used a deadly weapon — the brick — during the attack. "Who would do this to anybody?" Mendozza, the grandson, said in an interview with NBC Los Angeles last week. "A 92-year-old senior citizen — what can he do to anybody? There's no harm that he meant."